From general office cleaning once a week to taking care of a whole campus, we offer a complete cleaning solution for businesses of any size. We cater for all business types whether you are in an office, factory, surgery, school, church or pub, we can customise a cleaning programme designed to ensure your workplace stays clean, safe, and healthy. We understand the importance of a clean business environment and its role in impressing clients and energising employees. A dirty or untidy work place also leads to poor staff morale and lower productivity. Our professional office cleaning staff will provide your business with a worry free way of sustaining a professional atmosphere day after day. We offer bespoke weekly, bi-weekly or monthly cleaning to suit your individual needs. We will tailor a package to fit any requirement. 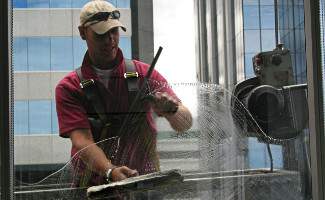 New Penny Cleaning offers monthly, quarterly or 6 month rolling visits to clean office glazing and frames to the very highest standards using the latest in window cleaning technology. Tea, coffee spillages and general soiling will soon build up and can create a negative visual impact for clients and indeed employees. 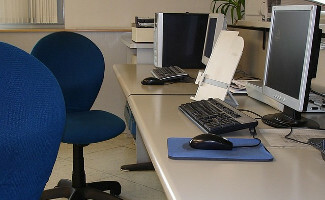 We offer a specialist office equipment cleaning service. From phones and keyboards to dust removal from base unit fan vents. 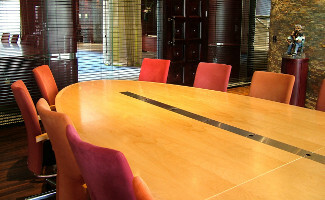 A well maintained hard floor can look striking in a corporate environment. 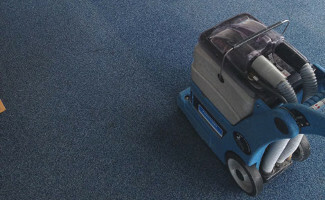 We can keep your hard flooring tip top with our regular clean. Why not additionally ask us to supply your office consumables and never get caught short. We can help you save on these essential items. Why choose New Penny Cleaning for your business and commercial cleaning?